Flight Attendant 101: Who, What, Where and Why? Flight Attendant 101: Who, What, Where & Why? 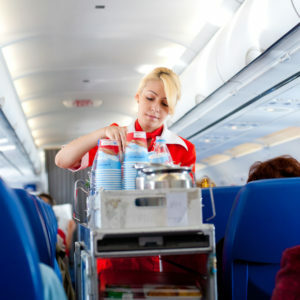 The flight attendant career is considered to be one of the more prestigious professions available. The glamour and the perks of traveling to interesting places around the globe for free have been enticing young men and women to pursue this career since the inception of the airline industry. Why would you want to be a Flight Attendant? What’s so exciting about serving passengers at 35,000 feet above sea level? If you ask us, there’s really nothing special about the basic day-to-day tasks. So, why would you want to be one? The attraction in becoming a flight attendant are the very real perk of visiting new places. Check out The Fastest And Easiest Way To Become a Flight Attendant…Fast! Flights to Europe, Caribbean and other exotic places you may never otherwise see lure people into the industry – and rightly so, when you consider that you travel for free or better yet, get paid to travel. Who wouldn’t want to see amazing places right around the world for free? The perks of working as a flight attendant don’t stop there. Being part of the airline industry gives you direct access to discounted hotel stays, free tickets to performances and sports events, free meals on board and even the opportunity to meet celebrities and famous sports people. Sometimes an FA can even bring along a guest for free, but you’re likely to make endless new friends in passengers and staff regardless, most of whom share your interest in travel. Who can become a flight attendant? Depending on the airline, to become a flight attendant you must be at least 18 years old and have a high school diploma. A college degree is not required, but many employers prefer to hire applicants with college degrees. There are also height, weight, reach and vision requirements depending on the airline (among others), and a medical exam you must pass. If you have experience working in sales, customer services, team leadership or fluent in languages other than English – you will have an advantage as this experience will provide you with the more desired attributes of a good FA. Furthermore, you will have to complete formal training before you get off the ground. Working for a passenger airline will require physical strength. You will be pushing a 300lb beverage cart up the aisle, helping passengers with their luggage and helping put luggage into the overhead bins. As an FA, you also primarily require great psychological strength. On a daily basis, you are required to interact with passengers of all educational levels, of different nationalities and from all walks of life. Your primary responsibility is to ensure the safety and comfort of passengers. The primary responsibility of all cabin crew is to ensure the safety and comfort of passengers. They must be good listeners in order to understand the needs of passengers. They must be flexible and have the ability to calm nervous passengers, help mothers soothe their babies, or deal with unreasonable demands. Flight attendants are also responsible for ensuring the cleanliness of the cabin, the upkeep of emergency equipment and ensuring the food and beverage supplies are well stocked. Flight attendants have the unique experience of witnessing amazing modern architecture, as found in most airports. Chicago OHare International Airport is no exception. Photo credit: N. Harris. 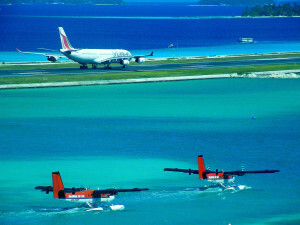 Why would you not want to be a Flight Attendant? While there are many advantages, there are also some disadvantages – but, not more so than a job in any other industry like hospitality for instance. The job itself can be stressful: dealing with drunken passengers, the concerns surrounding terrorism and other security issues like bomb threats and violent passengers to name a few. While these issues are a rarity for most flights, and are things most will never deal with – it is something you will be expected to deal with as a flight attendant. 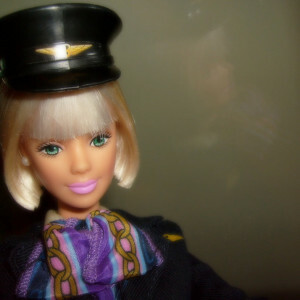 In addition to the above, as a flight attendant you are relied upon in emergency situations. You could also be working unusual hours, across time zones, suffering from jet lag and staying in strange hotel rooms. Most will argue that the disadvantages are far outweighed by the advantages of being a flight attendant and the unique opportunities gained. Flight Attendant Uniforms: Classier than ever! My daughter has always loved airplanes and travel, so I thought I would learn more about what a career is like in this field and if it is something she may like in the future. I had no idea that being a flight attendant allows you to sometimes get discounted hotel stays and free tickets to events. This seems like a really cool perk of a really unique job. I’ll be sure to share this with her when she’s a little older!